Opening investment account in the Philippines especially with COL Financials and mutual fund companies now requires TIN number. NO problem if you are in the Philippines. But what if you are an OFW and no time to go back to Philippines to get a TIN number? Not an issue anymore, you can apply online where ever you are. All you need is to visit BIR website and fill up their online eRegistration System. The eREGISTRATION (eREG) system is a web application system for various taxpayer registration services, such as TIN issuance, payment of registration fee and issuance of Certificate of Registration. The eTIN is a module of the eREG System. It offers convenient access to application for Taxpayer Identification Number (TIN) over the internet. It currently caters to the following types of individual taxpayers: Self-employed individuals such as Single Proprietors and Professionals, Mixed Income Earners (e.g. employee and single proprietor and/or professional at the same time), Employees, and Executive Order (E.O.) No. 98. Securing more than one TIN is criminally punishable pursuant to the provisions of the National Internal Revenue Code of 1997, as amended. Every person who uses this facility for any purpose other than as intended will be investigated and dealt with accordingly. NOTE: Issuance of TIN is free of charge. What if you already have TIN number before and you forgot it? There’s also solution for that. To get your TIN # kung nakalimutan nyo na, just call the trunkline of the the BIR. The number is (02) 981-8888. 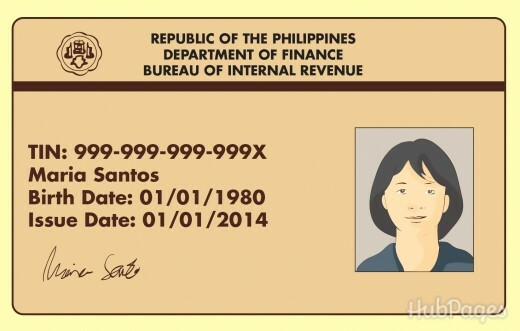 You will be directed to a BIR employee and he/she will ask you some information such as your name and birthday. Then, you will have your TIN after you have provided the necessary information. Iam Arnold Mendoza, 34 years old, presently working in dubai. i wish to recover my old TIN number as my personal requirement . How can i change my surname? hi paano po mag recover ang TIN # ko, nawala kasi ang form ko.. Please how can I retrieve my TIN number? How to recover my old tin#? Please message me. I need your help. I need to recover my Tin# now. Please help me. i need to recover my Tin number, but i am here in Bahrain. Please help. I am an OFW who wants to open a trading account in the Philippines. My problem was I forgot my TIN number.Luckily, I found this article of yours and I found the answer to my problem. Thank you very much for the very informative article. BIR abra branch is requiring me to pay 100 pesos for securing my old tin card becouse i lost my old one.what is this? dear readers…please do not ask me po about your TIN. you can inquire directly sa BIR 🙂 i’m an OFW in Singapore, i cannot help in acquiring your TIN.